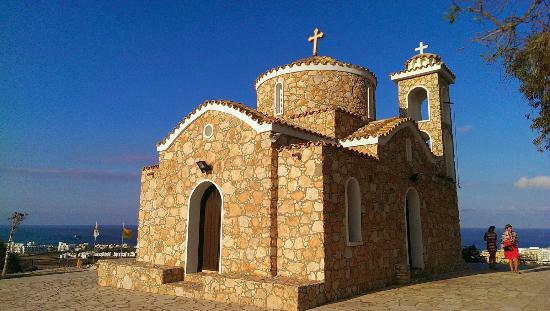 A great experience.Profitis Elias church was built in 1984 on a rock situated on the hill in Protaras. 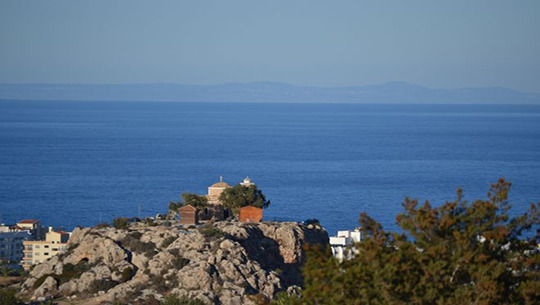 Total 156 steps to climb up to the church, that offers stunning views of Protaras and its surroundings. There are trees of rememberance that sit close by – a local custom is to tie something to one of the branches in rememberance of a loved one. Is an Orthodox church and celebrates on 20th of July.The interior of the church is quite breathtaking and unique.